CHICAGO-(AEAE)-Stoller Blog note please click on the above link to the Leo Stoller AEAE Blog link to see New Postings. Stoller is attempting to make his Blog Link his "First" page of his web site to avoid having to click on the above Link. However please bear with him pending this Web site construction. The "new" blog link is improved and the readers will enjoy it much better! Legal Disclaimer: Arizona Attorneys Brian J. Schulman and Laura SixKiller are considered innocent of professional misconduct charges until found guilty beyond a reasonable doubt by a fact finder. 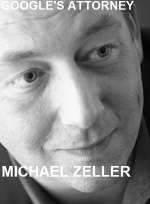 CHICAGO-(AEAE)-SEPTEMBER 15, 2009 Tuesday-STOLLER CHARGED TRADEMARK ATTORNEY MICHAEL T. ZELLER ESQ., WITH FRAUD, CONSPIRACY AND AIDDING AND ABEDDING GOOGLE INCL, IN THE COMMISSION OF A TORT. Today Stoller filed his "reply" brief in the Google Inc., v. Central Mfg Co., Chicago District Court case in which Zeller and his crowd have accused Stoller's companies of Civil Rico. Stoller has identified in his reply brief where he alleges that Michael T. Zeller has committed a "fraud" on the Illinois District Court. Judge Virginia Kendell will decide the case, which has already been appealed once. At one time Stoller had his Blog with Google Inc., when he previously made charges against Zeller and Google Inc., Zeller told Google Inc., to "cancel" Stoller's blog according to one report Stoller received. 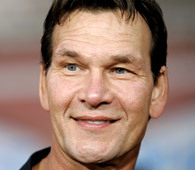 However this blog has "nothing " to do with Google Inc., and Stoller can finally "speak truth to power" without fear of this blog being shut down by Google Inc.
CHICAGO-(AEAE)-LONG TIME SUPPORTER OF THE AMERICANS FOR THE ENFORCEMENT OF ATTORNEY ETHICS (AEAE) Patrick Swayze died today of pancreatic. He started in the movie "Dirty Dancing", in TV and on Stage. He will be missed. CHICAGO-(AEAE)-TUESDAY, SEPTEMBER 15, 2009-A CLOSE CONFIDENT OF FORMER ILLINOIS GOVERNOR ROD BLAGOJEVICH AND HIS CHIEF FUNDRAISER KILLED HIMSELF YESTERDAY. Kelly is a roofing contractor and consultant. He has helped to raise millions of dollars for former Illinois Governor Blagojevich's campaign and he could have given federal prosecutors an inside look at the workings of the governor's administration. Blagojevich has been charged with using his position to get personal and professional favors, including trying to sell off the U.S. Senate seat left vacant by President-elect Barack Obama. Kelly was set to start the nearly 8-year federal sentence this week after being extorted by Chicago Federal Prosecutors into enter into a “guilty” plea to federal mail fraud in an $8,5 million kickback scheme at Chicago International Airport and previous tax offenses. Kelly faced intense pressure from federal prosecutors seeking help in their federal case against the impeached Illinois Governor Rod Blagojevich. According to the Chicago Tribune, Kelly's girlfriend Clarissa J. Flores Buhelos, 30 of Chicago, told Chicago Police that “Kelly said he wanted to commit suicide in text messages he sent to her.” So who killed Christopher Kelly, the Fed's, Christopher Kelly, who? The Illinois District court Judge who gave Kelly a white color business man with “no” criminal record an eight year federal prison sentence? CHICAGO-(AEAE)-MONDAY, SEPTEMBER 14, 2009-STOLLER HAD CHARGED ILLINOIS ATTORNEY LAURA MYERS WITH PARIRIE STATE LEGAL SERVICES, INC., CAROL STREAM, ILLINOIS WITH A “SCHEME” to defraud the Great American Insurance Company http://www.greatamericaninsurance.com/ alone with her clients Raymond H. Weber and his wife Lusha Weber a United Air Lines Employee. In a pleading filed by Laura Myers she has asserted that “Stoller Makes a False, Scurrilous and Unsupported Allegation that Raymond H. Weber and Laura Myers Esq., are engaged in “fraud upon this court.” “On page 2 of Stoller's response to the Motion for Reconsideration Stoller made the totally inappropriate, untrue and completely, unsupported assertion that counsel of record, Laura Myers and Raymond H. Weber have committed a '..clear fraud upon this Court (Judge Thomas Dudgeon) and that Lusha Weber are engaged in a criminal conspiracy to defraud the surety company, Great American Insurance Company and Leo Stoller, such a charge is very serious, an offense, meriting the censure of this Court. It cannot simply be ignored.” Raymond H. Weber and his counsel are continuing to seek in excess of $30,000 from Great American Insurance. The attorney for Great American Insurance Michele L. Killebrew from the Illinois firm of Leo & Weber filed a response to Raymond H. Weber's motion requesting the additional funds from Great American Insurance stating, “Stoller has repeatedly denied that he ever had access to (Raymond H. Weber) monies..Laura Myers Esq has subpoenaed bank records of Stoller...None of the bank documents received to date show that any large deposits were made into Stoller's bank account at the time of the large cash withdrawals from Raymond H. Weber, a convicted felon, bank account.” Nonetheless Laura Myers continues to seek over $30,000 from the Great American Insurance Company. Stoller asserts that this is tantamount to “insurance” fraud by Raymond H. Weber and Laura Myers under the circumstances. Legal Disclaimer: Laura Myers, Raymond H. Weber and his wife Lusha Weber are considered innocent of insurance fraud until found guilty at trial. Litigation is War, Welcome to the Front..
CHICAGO--(AEAE)-MONDAY-SEPTEMBER 14, 2009-GOOGLE INC.,'S ATTORNEY MICHAEL T. ZELLER attempts to besmirch Stoller reputation before Judge Virginia Kendell in the Illinois District Court action where Stoller's companies are being sued for RICO. 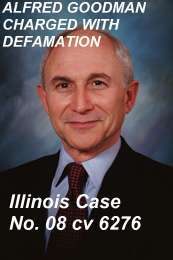 Stoller has moved to intervene as a matter of right claiming that "his reputation can be damaged" if Stoller is not able to intervene into the Illinois District Court Case. Judge Kendell denied Stoller's first request. The case went up on appeal. Stoller won the appeal. The case is now back before Judge Kendell to decide if Stoller has a right to Intervene. In a Reply filed by Michael T. Zeller he wrote,"The only purported interest that Stoller contends supports reconsideration of the Motion to Intervene is his purported "reputation" as a "trademark expert" Even apart from the argument's absurdity in light of this Court's, the Seventh Circuit's and many other Court's decisions repeatedly findings that Stoller's "reputation" is that of a vexatious litigant who has fabricated evidence and committed other acts of fraud and attempted fraud on the judicial system, Stoller's "reputation"--whatever he imagions it to be -- is not the type of concrete substantial interest that could support intervention of right. By Stoller's reasoning, he could interject himself into almost any litigation he chooses by proclaiming some vague impact on his self-declared and equally vague, claims about his supposed "reputation"." Zeller provided no evidence that any court has ever found Stoller was guilty of "fraud" and attempted "fraud" on the judicial system. Why do lawyers try to denigrate an opponent to elevate themselves? Of course Stoller has charged Zeller with perpetrating a "fraud" on the court, but Stoller has produced "evidence" of Mr. Zeller's fraud. However, all of the parties are waiting for a Ruling by Judge Virginia Kendell. 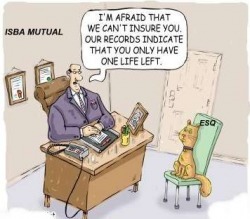 ILLINOIS STATE BAR ASSOCIATION MUTUAL LEGAL MALPRACTICE INSURANCE IS "WORTHLESS"? CHICAGO--(AEAE)-Friday, September 11, 2009- GOOGLE INC., FILES ITS RESPONSE TO STOLLER MOTION IN THE ILLINOIS DISTRICT COURT CASE. The case grew out of a Petition to Cancel that Stoller filed to cancel the term "google" which is not in the "dictionary" and should be removed from the principle register of the Patent and Trademark Office. Afterwards Google Inc., sued Stoller in the Northern District of Illinois on a "frivolous" Rico action. Stoller's Illinois Bankruptcy Trustee Richard M. Fogle refused to defend Stoller's corporations and breached his fiduciary responsibly. Judge Virginia Kendell granted a "consent" judgment to Google Inc., as a result of the bankruptcy Trustee's actions. Stoller appealed to the Seventh Circuit Court of Appeals. Stoller won his appeal. 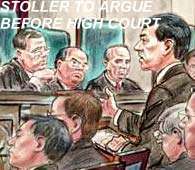 CHICAGO-(AEAE)-Thursday, September 10, 2009-IN A HEARING BEFORE ILLINOIS CIRCUIT COURT JUDGE ELMER TOLMAIRE, opposing counsel Robert Tepper asked Judge Tolmaire to transfer or dismiss Stoller Counter Claim. Judge Tolmaire said that, "I don't believe that this court is where I should be dealing with this counter-claim. Mr. Tepper has a judgment and Stoller's counter claim is going to mutty the waters. Stoller said to Judge Tolmaire, "Deny my motion and give me 304 language and we will let the Illinois Appeals Court deal with the Issue." Judge Tolmaire said, " I don't think that will be necessary, how much time do you need Mr. Stoller to file your brief to Tepper's motion to sever?" Stoller responded, "30 days." Judge Tolmaire said, "Can you do it within 25 days?" Stoller responded, "Yes". 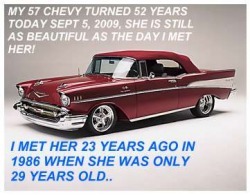 Have you brief in by October 7, 2009 and we will set Oct. 14, 2009 for status." Stoller said, "Thank you Judge". With that the hearing concluded. Opposing Counsel Robert Tepper introduced Stoller to a fine look young man, who Tepper said was a law student that Tepper was mentoring for the summer. Stoller told the law student that "he was fortunate to be working with a famous attorney Robert Tepper." Robert Tepper said, "No Stoller it is you that is famous!" Stoller responded, "No, Mr. Tepper I am notorious, you are famous!" CHICAGO-(AEAE)-WEDNESDAY SEPTEMBER 10, 2009-ILLINOIS JUDGE THOMAS DUDGEON SET A BRIEFING SCHEDULE ON TUESDAY SEPTEMBER 9, 2009. Stoller had filed an appeal of his July 9th 2009 decision. Stoller moved to stay the proceeding pending the Appeal. Opposing counsel Laura Myers then files an "out" of time motion for reconsideration, requesting that the Judge Dudgeon triple a judgment to over $35,000. Stoller has charged Laura Myers Esw., an attorney with Prairie State Legal Services, Inc., Carol Streem Illinois 60188 with "aiding and abeding" her client a convicted felon Raymond H. Weber and his wife Lausha Weber a United Airlines Employe with defrauding a Insurance Company that is represented by the law firm of Leo and Weber P.C. Michele Killebrew. Judge Dudgeon set a "briefing" schedule on Stoller's motion to suspending the Appeal. Today Stoller will appear before Illinois Judge Jordon Kaplan to set aside a divorce settlement that Stoller signed under undue influence in order to get out of the Cook County Jail. Had Stoller not agreed to the terms he would still today be in the Illinois Cook County jail for publishing "speech" on his former blog. WASHINTON-(AEAE)-SEPTEMBER 8TH, 2009, TUESDAY- INTERLOCKTORY ATTORNEY BAXLEY FROM THE TRADEMARK TRIAL AND APPEAL BOARD ISSUED A DECISION ON SEPTEMBERR 1ST, 2009 denying Stoller's motion for reconsideration in Opposition No. 91190926. Stoller moved to to interplead in an Opposition on the grounds that an trademark Application which was assigned to him give Stoller the right as the proper party to defend an the Opposition to Publish. Stoller made a case in his opinion that the Society for the Prevention of Trademark Abuse (SPTA)had no "standing" because no trademark rights were ever assigned to SPTA in a bankruptcy action because the Illinois Bankruptcy Trustee Richard M. Fogel issued a "naked" license and/or license in gross to SPTA in the bankruptcy assignment. Consequently SPTA had no rights to consent to a judgment. However Baxley in Stoller's Opinion does either not know the law regarding what a "naked" license and/or License in gross is or doesn't care. It is Stoller's position that Washington D.C. Lawyer Lance G. Johnson from the firm of www.roylance.com engaged in a scheme to defraud the Bankruptcy court in Illinois and the Patent and Trademark Office. Stoller has laid out carefully Johnson's scheme with 300 pages of the Official Bankruptcy Transcript and made it a part of the record. Stoller as the nationals leading trademark expert asserts in his opinion that Judges like Baxley who ignore "fraud" on the Patent and Trademark Office are unfit to hold a position of arbitrator at the Trademark Trial and Appeal Board and should be removed from office. Stoller has now moved to appeal Baxley's Sept 1, 2009 order before the Federal Circuit Court of Appeals. Stoller has significant experience with Baxley's previous decisions and expected that the Federal Circuit will have to decide this case. Stoller just wanted to go on record prior to the Federal Circuit Court of Appeals Ruling in this case so as to lay a foundation for making his "fraud" case against Baxley once the Federal Circuit makes it ruling in this case. Legal disclaimer: TTAB Interlocktory Attorney (Judge) Baxley is considered innoncient of Stoller's Fraud charge pending a full hearing at trial. The opinions expressed here are those of Stoller. STOLLER ARE YOU SUEING ME FOR 37 MILLION DOLLARS? REMEMBER ME, I AM STILL HERE! ELM WOOD PARK, ILLINOIS-SEPTEMBER 7, 2009-MONDAY-YOU ASKED ME IF I AM SUING YOU FOR 37 MILLION DOLLARS? I am going to sue for the rest of my life those parties who are responsible for violating my civil rights under Section 1983, rest assured of that fact! However, "friends" do not normally sue "friends". CHICAGO-(AEAE)-MONDAY SEPTEMBER 7, 2009-LEO STOLLER FILES A PETITION FOR WRIT OF CERTIORARI http://en.wikipedia.org/wiki/Certiorari WITH THE UNITED STATES SUPREME COURT. On June 8, 2009, Leo Stoller was ordered by Illinois Cook County Divorce Judge Carol K. Bellows to be taken into custody for publishing "Speech" on the Internet. Publishing articles on his blog. The United States Supreme Court had ruled in ACLU v. Janet Reno http://www.oyez.org/cases/1990-1999/1996/1996_96_511that a citizen has a First Amendment Right to Publish Information on the Internet. 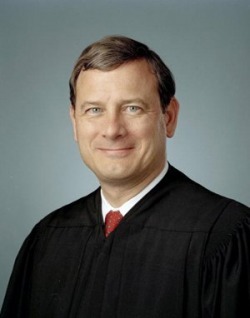 Reno v. American Civil Liberties Union, 521 U.S. 844 (1997), is a United States Supreme Court case, in which all 9 Justices of the Court voted to strike down anti-indecency provisions of the Communications Decency Act (the CDA), finding they violated the freedom of speech provisions of the First Amendment. Two Justices concurred in part and dissented in part to the decision. This was the first major Supreme Court ruling regarding the regulation of materials distributed via Internet. The Illinois Supreme Court declined to hear Stoller appeal of Judge Bellows unconstitutional decison to incarcerate Stoller for 37 days in the Illinois Cook County Jail for the lawful publication of Speech on the Internet. Stoller now turns to the the Highest Court in the Land, the United States Supreme Court for relief. Stoller has previously filed over 15 Writ of Certiorari before the High Court and is an First Amendment Scholar and Appellate Expert. CHICAGO-(AEAE)-FRIDAY-SEPTEMBER 4, 2009-STOLLER HAS FILED A LAWSUIT AGAINST A ILLINOIS ATTORNEY ROBERT R. TEPPER, 11 W. Washington Suite 1900, Chicago, Illinois. Tepper a long time listed with the AMERICANS FOR THE ENFORCEMENT OF ATTORNEY ETHICS (AEAE) a attorney rating and ethics "watch dog" group, as "not" recomended. Tepper is charged with filing a "false" lien against real estate in which he knew or should have known was not owed by the party where Tepper placed his lien. Illinois Case No. 04-L-3226. 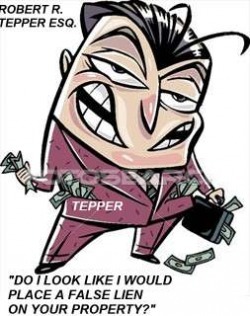 Tepper has moved to sever the Stoller's cross complaint from Case No. 04 L 3226 despite the fact that the case should not be servered. Stoller had previously filed several attorney disciplinary complaints against Robert R. Tepper with the Illinois Attorney Registration and Disciplinary Commission (ARDC) www.iardc.org . Stoller anticipates filing another ARDC against Tepper next week. CHICAGO-(AEAE)-THURSDAY-SEPTEMBER 3 2009-THE STAKES IN STOLLER CASES ARE HIGHER THAN EVER. COURT HEARING ON WEDNESDAY WENT IN STOLLER'S DIRECTION. The Lance G. Johnson Esq 100 Million dollar defamation is on appeal. Judge Kathy Flanagan set a status for Dec 1, 2009. Stoller has appealed his final divorce settlement agreement which Stoller was forced to sign on July 15, 2009 while he was in the custody of the Cook County Department of Corrections. The Elmwood Park Malicious prosecution case is also on appeal. Stoller was forced to sign a "agreed" order of dismissal as a condition precedent to get out of the Cook County Jail. 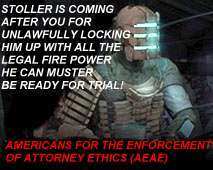 Judge Chjarles Wrinkler dismissed Stoller's malicious prosecution case on July 22, 2009. Stoller is well positioned to "reverse" all of these erroneous decisions. In The Illinois Cook County Law Division the average case can take from 5 to 7 years to resolve. As opposed to the Northern District of Illinois Federal Court where the average case is resolved in 6 months. This fall on the Rentamark blog there will be more detailed case studies from the "front" revealed. There are more law suits planed. and you will follow the "blow" by "blow" legal action seven days a week right here...so stay tuned..
CHICAGO-AEAE-WEDNESDAY-SEPT 2, 2009-STOLLER WILL APPEAR BEFORE ILLINOIS FEDERAL JUDGE GERALDINE SOAT BROWN AND REQUEST THE APPOINTMENT OF COUNSEL. The Seventh Circuit Court of Appeals appointed Judge Brown to hear a matter in which Stoller is entitled to have, in this case counsel represent himself. Stoller previously made an oral request and this time set a hearing today before Judge Geraldine Brown http://www.ilnd.uscourts.gov/judge/BROWN/gsbpage.htm for the appointment of counse in the Federal Court House at 219 s. Dearborn in Chicago, Illinois 60606. TODAY ILLINOIS CIRCUIT COURT JUDGE KATHY FLANAGAN GRANTS STOLLER'S MOTION TO STAY PENDING APPEAL. CHICAGO-(AEAE)-Tuesday, September 1, 2009--TODAY ILLINOIS CIRCUIT COURT JUDGE KATHY FLANAGAN GRANTED STOLLER'S MOTION TO STAY THE LANCE G. JOHNSON www.roylance.com 100 MILLION DOLLAR DEFAMATION PENDING STOLLER'S APPEAL of Flanagan's decision granting Johnson's Motion to quash Service. Judge Flanagan set a status date of Dec. 1, 2009. Gordon and Rees representes Lance G. Johohson, David Abrams and Alfred Goodman who all face charges of per se defamation of Stoller. "NOW I GOT YOU RIGHT WERE I WANT YOU!" I got you were I want you! The Chicago Bulls came out in the Second half and beat the Knicks by 15 points. The Bulls went on to win the 1991 NBA Championship. 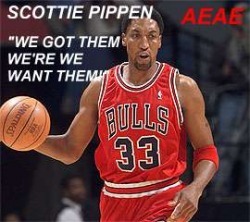 I feel the same way that Scottie Pippen felt. 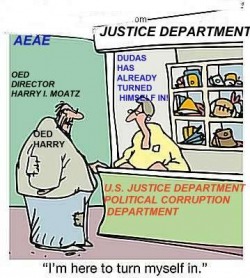 “I got you in the Appeals Court, I got you where I want YOU!” See you in Court! CHICAGO-(AEAE)-MONDAY-AUGUST 31, 2009-ILLINOIS CIRCUIT COURT JUDGE KATHY FLANAGAN SET A HEARING IN THE LANCE G. JOHNSON ESQ. 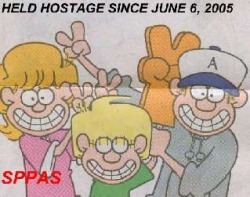 www.roylance.com 100 million dollar defamation case for Tuesday. Johnson's attorny Ryan attemped to ambush Stoller at the last hearing on Friday. Judge Flanagan requested that Stoller bring into court all of his "appeal" documents. The case is currently on appeal with the Illinois Appellate Court. Johnson's attorney ignores that fact and wants to proceed before Judge Flanagan dispite the fact that Johnson claims that he as "not" been served, although Stoller has evidence and an affidavit from his process server show that Johnson and his law partners David Abrams and Alfred Goodman have been served. In order for Johnson, Abrams and Goodman to avoid the defamation judgment that is coming they have spent over one year denying and litigating over service of process, notwithstanding the fact that they have been served. This is the game that anyone who sues attorneys can expect to deal with. When they have "no" defense to the claims, the defendant attorneys will attempt to deny service of process, as is the case at bar. On Wednesday Stoller will appeal before Federal Judge Brown on a hearing. SPPAS DEFINES PARENTAL ALIENATION AS SOCIETY'S GREATEST "EVIL"
ELMWOOD PARK, ILLINOIS (SPPAS)-SATURDAY, AUGUST 29, 2009- THE SOCIETY FOR THE PREVENTION OF PARENTAL ALIENATION SYNDROME as "a disorder that arises primarily in the context of child-custody disputes. Its primary manifestation is the child's campaign of denigration against a father, a campaign that has no justification. It results from the combination of a evil mother programming (brainwashing) mother's indoctrination and the child's own contributions to the vilification of the Father." To better understand PAS and help prevent the damage its causes children and families, SPPAS is suggesting that parents and the courts must understand the process that leads to PAS. 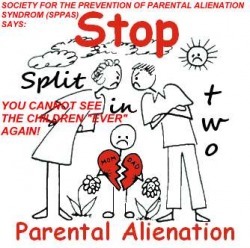 Therefore SPPAS defines parental alienation (PA), rather than PAS, as any constellation of behaviors, whether conscious or unconscious, that could evoke a disturbance in the relationship between a child and the other parent. Mother's who engage in PAS are "evil" "ugly" and do not deserve to be called "mother!" Society must know who these evil, ugly mothers are, if you have the name of any please email Ldms4@hotmail.com so SPPAS can let the world know who these ugly women are. CHICAGO--(AEAE)-FRIDAY AUGUST 28th 2009--IN A HEARING TODAY, ILLINOIS CIRCUIT COURT JUDGE SET A HEARING FOR SEPT 1, 2009 IN THE LANCE G. JOHNSON ESQ. 100 million dollar defamation lawsuit. A Gordon & Rees Attorney representing Johnson insisted today on a briefing schedule. However, Judge Flanagan gave Stoller until Sept 1, 2009 to bring into court his entire appeal file. There is a question as to whether Judge Flanagan still has jurisdiction of this proceeding pending Stoller's appeal of Judge Flanagan's motion to vacate service. 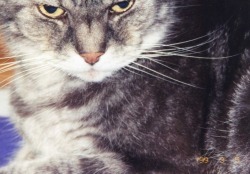 Further Stoller issued a ban on Ms. Myers coming to this blog again. Stoller told Ms. Myers to inform her client that Raymond H. Weber and his wife Lusha Weber are also banned from visiting this site. In the Lance G. Johnson Esq. 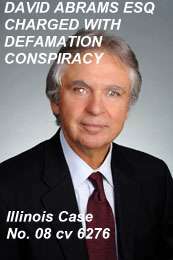 www.roylance.com 100 million Defamation case there is a hearing today before Illinois Judge Kathy Flanagan. Illinois District Court Judge Virginia Kendell issued another decision in the Google Inc., RICO case setting a briefing schedule on Stoller's Motion for Reconsideration. Stoller filed a Motion before Illinois Special Master Judge Brown for appointment of attorney, the hearing is set for net week. CHICAGO-(AEAE)-THURSDAY AUGUST 27, 2009. STOLLER FILED AN APPEAL OF ILLINOIS CRIMINAL COURT JUDGE DENNIS PORTER'S AUGUST 24, 2009 DECISION DENYING STOLLER'S MOTION TO DISMISS AN INDIRECT CRIMINAL CONTEMPT PROCEEDING IN WHICH STOLLER IS STAIRING AT 6 MONTHS JAIL TIME FOR PUBLISHING SPEECH ON THE INTERNET (“Blogging”). 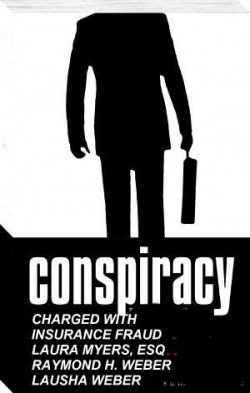 On April 16, 2008 the “Plaintiff filed her Amended Third Petition for Adjudication of Indirect Criminal Contempt regarding Stoller's alleged violations of temporary orders entered March 31, 2006 and July 18, 2007, in the parties underlying dissolution of marriage case. Said temporary orders provided for injunctive relief limiting the Stoller's communication via the Internet and e-mail. On June 8, 2009 the Leo Stoller was found in civil contempt of court by the Honorable Carole K. Bellows and was ordered incarcerated in the Cook County Jail for violations relating to the same orders that serve as the basis for the Amended Third Petition for Adjudication of Indirect Criminal Contempt. 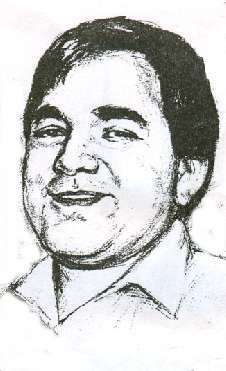 Stoller remained incarcerated for 37 days. On July 15, 2009 the parties’ underlying dissolution of marriage case was concluded by entry of a final Judgment for Dissolution of Marriage entered by Judge Bellows and then Stoller was released from jail. In the context of a dissolution proceeding, injunctive orders terminate when the trial court granted respondent’s motion to dismiss petitioner’s petition for dissolution. In re Marriage of Ignatius, 273 Ill.Dec. 203 (Ill. App., 2003). Since the Plaintiff’s two count Amended Third Petition for Adjudication of Indirect Criminal Contempt relies solely on previous court orders that have been terminated and thus are no longer enforceable, her petition does not state an offense and should be dismissed. 725 ILCS 5/114-1(a)(8). Judge Dennis Porter, a well known and respected Criminal Court Judge operating out of 26 and California, disagreed and denied Stoller's motion to dismiss. Today Stoller appealed and looks forward to having the Illinois Appellate court weigh in on the Issue. Stoller also today filed a Motion before the Illinois Supreme Court requesting that the Illinois Supreme Court stay the criminal proceeding pending Stoller's Appeal regarding the free speech issue. 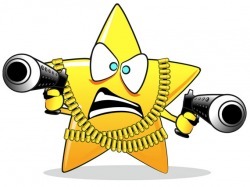 When someone is unlawfully attempting to put Stoller in jail you can be sure that he will exercise all of his rights in all of the courts to make sure that does not happen...”Litigation is War, Welcome to the Front....” 312-545-4554 Ldms4@hotmail.com Stoller is an Appellate Expert..
CHICAGO—COMMENTARY (AEAE)-AUGUST 27, 2009 THURSDAY—WHERE WERE YOU WHEN KENNEDY DIED? When John F. Kennedy was killed in 1963, I was a senior in Weber High School. It was about noon, I was in the cafeteria eating lunch. An announcement came over the loud speaker,”the President was shot today!” All of the students cheered, we though it was the president of our student class and we thought it was a “Joke”. When we found out that it was President John F. Kennedy that was killed no one thought it was funny. In June of 1968 I was a graduate student at North Dakota State University in Fargo, North Dakota. Where I met Robert Kennedy, the day before he was killed in California. Roberta Kennedy few to North Dakota to campaign there before going on to California where he was killed. On Tuesday evening, August 25, 2009, when Edward Kennedy died I was writing a Illinois Appellate Brief. CHICAGO-(AEAE)-WEDNESDAY AUGUST 26, 2009-STOLLER FILED A MOTION FOR REONSIDERATION BEFORE ILLINOIS DISTRICT COURT JUDGE VIRGINIA KENDELL EXTENDING AN OPPORTUNITY FOR THE JUDGE TO RECONSIDER HER DECISION IN THE GOOGLE INC., CIVIL RICO ACTION. The Seventh Circuit Court of Appeals has already reversed Judge Kendell once and Stoller was attempting to avoid another trip to the Seventh Circuit Court of Appeals. Stoller set the hearing for tomorrow Thursday, in front of Judge Kendell. On Friday Stoller has a hearing before a probate Judge Dudgeon on another Motion for Reconsideration which was filed by Laura Myers Esq. Stoller has charged her with insurance "fraud" aiding and abeding her client Raymond H. Weber in the commission of insurance fraud. The case is already before the Illinois Appellate Court and Stoller is confident of a reversal of Judge Dudgeon's July 9th, 2009 exparte order. 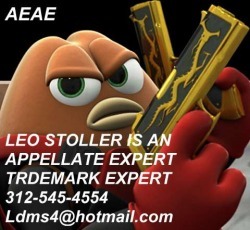 Stoller is an Appellate and Trademark Expert email Ldms4@hotmail.com 312-545-4554 "Litigation is War, Welcome to the Front!" County Jail over the principle of free speech. Judge Bellows forced Stoller to remove his other blog that he had thousands of articles on. 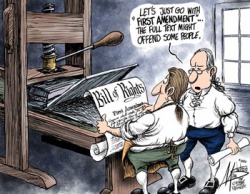 In Stoller's Opinion Judge Bellows criminalized "Speech" in clear violation of Stoller's First Amendment Rights. The unlying case was a divorce proceeding in which Stoller ex-wife and her divorce lawyer charged Stoller also with Indirect Criminal Contempt for the publcation of "speech" on the Internet (Blogging). On Monday August 24, 2009 Criminal Court Judge Dennis Porter set a trial date for October 9th, 2009. Stoller has now moved to have the trial "stayed" pending his appeal of all of Judge Bellows unlying Orders "criminalizing" Speech on the Internet in violation of the U.S. Supreme Court findings in the ACLU v. Reno case. Legal Notice: Laura Myers, Raymond H. Weber and Lausha Weber are considered innoncient of all charges of Insurance fraud until proven guilty beyond a reasonable doubt at trial. STOLLER SET TO RE-LAUNCH HIS FORMER "BLOG"
ELMWOOD PARK FATHER DEPRIVED OF SEEING HIS CHILDREN SINCE JUNE 6, 2009 AS A RESULT OF "PARENTAL ALIENATION"
CHICAGO--(SPPAS)- Saturday, August 22, 2009-THE SOCIETY FOR THE PREVENTION OF PARENTAL ALIENATION SYNDROME (SPPAS) IS NOW RECOMENDING THAT FATHER'S EXPLORE USING THE CIVIL RACKETTERING STATUTE TO SUE EX-WIFES AND THEIR AIDS, LAWYERS WHO PARTICIPATE IN PREVENTING A FATHER FROM BEING WITH HIS CHILDREN IN CUSTODY/DIVORCE PROCEEDINGS. Women have engaged in parental alienation, preventing the fathers from being with their children in contested custody divorce proceedings with impunity. One father from Chicago is suing his ex-wife now and her lawyer under a Civil Racketeering Statute (RICO). A RICO action is the most costly to defend against and if successful plaintiff's can be awarded treble damages. Parental Alienation initiated by women will only come to an end when they are forced to spend $100's of thousands of dollars defending themselves in legal proceedings that are driven to the highest courts in the land for final decisions. CHICAGO-(AEAE)-August 24, 2009 Thursday-ILLINOIS DISTRICT COURT JUDGE VIRGINA KENDELL ISSUED A RULING IN THE GOOGLE CASE WHERE STOLLER MOVED TO INTERVENE. Judge Kendell required the parties to file positions papers within 21 days. The Divorce lawyer in another case has moved to oppose Stoller 383 Motion before the Illinois Supreme Court on the gounds that Stoller could have appealed the decisions that he has put before the Illinois Supreme Court. Stoller asserts that the issue of "free" speech as to whether a party has a right to publish "speech" on the Internet during a divorce proceeding is of such importance that the Illinois Supreme Court should take Stoller's appeals directly. After all Stoller spent 37 days in the Cook County Jail from June 8, 2009 until July 15, 2009 for publishing "Speech" on the Internet. Illinois citizens should not have to go to jail for writing a "blog" on the Internet. The Illinois Supreme Court has "never" ruled on the issues that Stoller has raised and the Citizens of Illinois are entitled to have the Illinois Supreme Court weigh in on the issue as to Wheither a blogger should go to jail for blogging in the the State of Illinois. In another case, Raymond H. Weber and his wife Lusha of Carol Stream, Illinois are attempting to defraud the probate court in Dupage County Illinois by falsely asserting that a Insurance company should pay them over $50,000 in a dispute when they spent the funds that they are seeking from the Insurance company according to pleadings filed in the case. Would this woman put you in jail? For Blogging? CHICAGO-(AEAE)-FRIDAY AUGUST 14, 2009. 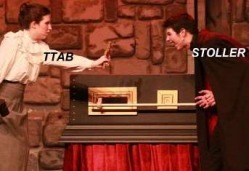 ACCORDING TO A SOURCE WITHIN THE PATENT AND TRADEMARK, TRADEMARK TRIAL AND APPEAL BOARD (TTAB) STOLLER FACE IS ABOUT AS WELCOME TO THE TTAB AS A CROSS IS TO DRACULA. The TTAB issued a "second" decision sue sponte, in an opposition to make the Board's record for the Federal Circuit. 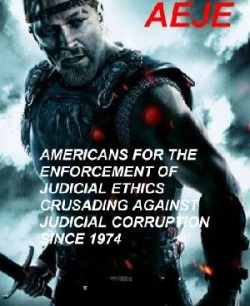 CHICAGO--(AEAE)- August 1, Wednesday-THE AMERICANS FOR THE ENFORCEMENT OF ATTORNEY ETHICS (AEAE) a not for profit attorney ethics watch dog group held there annual meeting last week and has issued a list of attorneys and law firms for 2009 that are "not" recomended. Ryan T. Brown, Hayes Ryan and the law firm of Gordon & Rees LLP are on that list. Legal Disclaimer: the fact that AEAE does not recomend any lawyer or law firm does not mean that they are unfit to practice law only that AEAE would not hire them. AEAE's opinion of lawyers that are rated as "not" recomended comes from public records, citizens complaints, disciplinary reveiw reports etc. ALEXANDRIA--(AEAE) AUGUST 11, 2009 TUESDAY--ON AUGUST 5, 2009 the Trademark Trial and Appeal Board issued a decision stating that "On August 5, 2009 Leo Stoller filed a combined motion to be substituted as a party defendant herein and to extend his time to file an answer and proposed change of correspondence address. Mr. Stoller's motion to be substituted is based on an alleged assignment of involved application Serial No. 75423924 to him from Bernice M. Stoller..because the USPTO records do not indicate that the involved applicationwas ever assigned to Ms. Stoller, there is nothing in the record to indicate that she had any trademark rights in the involved mark to assign to Mr. Stoller. Accordingly, the Board finds no basis for substituting Mr. Stoller as a party defendant in this proceeding and his motion to be substituted as a party defendant is denied." The Board is well aware that the record can be "rectified" to reflect the correct owner of the said application. Stoller has moved to "rectify" the record to reflect his ownership and moves for a motion for reconsideration before the Board. CHICAGO-(AEAE)- Monday August 10, 2009 10:45AM. IN A HEARING THIS MORNING AT 9:00AM Illinois Circuit Court Judge denied Lance G. Johnson's Emergency Motion for a Protective Order. Gordon & Rees, Johnson's attorney's have attempted to "stop" Stoller from publishing Speech on this blog and were attempting to obtain a "protective order" requiring Stoller to remove all articles on this blog about Gordon and Rees and Lance G. Johnson. A divorce lawyer was sucessful in obtaining such an "unconstitutional" protective order on Nov. 25, 2008 against Stoller. Stoller's previous blog was removed. Stoller did 37 days in the Illinois Cook County Jail over this "Free Speech" Issue. Stoller had filed a Emergency Motion before the Illinois Supreme Court under Rule 383 regarding the Nov. 25, 2009. Over this last week end Stoller prepared a Motion to Supplement his pending Emergency 383 Motion with the Johnson Appeal. Stoller filed his Motion to Supplement his 383 motion, moments before Johnson's Emergency Motion was to be heard before Judge Flanagan. Stoller then informed Judge Kathy Flanagan that she did not have jurisdiction over Johnson's motion for a protective order because that matter was now pending before the Illinois Supreme Court. Judge Flanagan then denied Johnson's Motion. Gordon & Rees attorney Ryan T. Brown was in court today to argue the Johnson motion. Stoller handed Ryan T. Brown copies of his Illinois Supreme Court pleading and Stoller's response to Johnson's Emergency Motion. Mr. Brown refused to accept service. Stoller said, "If you refuse to accept service, I will inform the Illinois Supreme Court." Brown then accepted service. Stoller said," Mr. Brown, you and your law firm Gordon and Rees are baned from going to this blog under the terms and conditions, which Gordon and Rees have violated. Mr. Brown said, "Your a mental case!" Stoller said, "I will amend my 100 million dollar defamation case to include you and your law firm for defaming me in the Illinois Cook County Daley Center Court House, who are your lawyers so I can serve them? CHICAGO-(AEAE)-Saturday August 8, 2009--STOLLER FILED A 100 MILLION DOLLAR DEFAMATION AGAINST LANCE G. JOHNSON, DAVID ABRAMS AND ALFRED GOODMAN FROM THE LAW FIRM OF ROYLANCE, ABRAMS BERDO AND GOODMAN. On Monday Johnson's lawfirm Gorden and Rees will present their emergency motion to have Judge Flanagan enter an order of protection against Stoller for the publication of "speech" on this blog. Stoller has a pending appeal before the Illinois Supreme Court and is moving to consolidate Johnson's motion with Stoller's current appeal regarding a unconstitutional order of protection that another Cook County Judge had entered against Stoller. Stay tuned. This is a First Amendment issue that effects everyone. CHICAGO--(AEAE) August 7, 2009 Friday-STOLLER FILED TWO APPEALS WITH THE APPELLATE COURT TODAY FROM DECISIONS RENDERED BY ILLINOIS CIRCUIT COURT JUDGE CHARGLES WRINKLER. Stoller was never even served with the motions that resulted in the judgments that were rendered by the parties who obtained the judgments from judge Wrinkler. Any judgment that is rendered without proper service is void ab initio. Stoller is well known to the Illinois appellate Court where these cases were headed anyway. There is no case that Stoller is either prosecuting or defending that is ever been resolved by a trial court judge in 40 years. 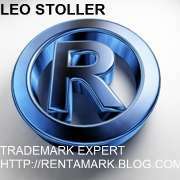 Stoller is an appellate expert and Trademark professional. In another matter Stoller is defending a "frivilious" opposition proceeding with will be detailed in the weeks and months to come. There is a very large trademark law firm on the other side which is really the only opponents that Stoller enjoys facing, on account of the fact that they "believe" they that "no one can possibly know the Lanham Act like they do. Stoller has prevailed in over 200 oppositions and cancelation proceedings at the Trademark Trial and Appeal Board. 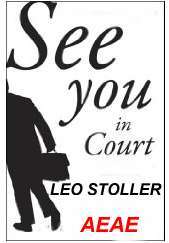 You can contact Stoller at 312-545-4554 Ldms4@hotmail.com See you in court! CHICAGO-(AEAE)-August 6, 2009-RYAN T. BROWN AN ATTORNEY FROM GORDON AND REES filed a Emergency Motion before Illinois Circuit Court Judge Kathy Flanagan seeking a Protective Order barring Stoller from publishing “Speech” on the Internet. Stoller has already a pending Appeal before the Illinois Supreme Court Case No 108915 regarding this identical issue where a Illinois Divorce Court Judge entered a similar protective order on Nov. 25, 2008 which amounted to a prior restraint, a rare restriction of speech before publication and a violation of Petitioner’s constitutional right to free speech. Gordon and Rees is seeking a order of protection from Judge Flanagan which is unconstitutional for it is similar to a probation condition that prohibits a probationer from engaging in defamatory or demeaning communications clearly impinges on probationer’s first amendment right of free speech. See People of the State of Michigan v. Edward Pinkney, at pg. 36, “…A probation condition (and/or a Order of Protection ) that prohibits a probationer (or Stoller in this case) from engaging in defamatory or demeaning communications clearly impinges on the probationer’s (and/or Stoller's first amendment right of free speech. The prior condition in the order of protection is similar to a “probation” condition. See also, e.g., Garrison v. Louisiana, 379 US 64, 75; 85 S Ct 209; 13 L Ed 2d (1964) (The First…Amendment  embod[ies] our profound national commitment to the provincial that debate on public issues should be uninhibited, robust, and wide-open, and that it may well include vehement, caustic, and sometimes unpleasantly sharp attacks on government and public officials.”) (quotation omitted). STOLLER will ask the Illinois Supreme Court to join the Gordon and Rees firm as necessary parties to Stoller current pending Illinois Supreme Court Case No. 108915. The Illinois Supreme Court is being asked to resolve the question as to whether whether a party in litigation proceeding still has a First Amendment right to air a grievance on the Internet). 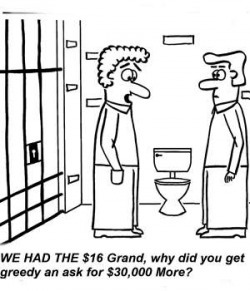 CHICAGO--(AEAE)-JULY 5, 2009-STOLLER WAS FORCED TO SIGN A AGREEMENT WHILE HE WAS IN THE CUSTODY OF THE COOK COUNTY DEPARTMENT OF CORRECTIONS DISMISSING HIS MALICIOUS PROSECUTION LAWSUIT AGAINST THE PARTIES WHO UNLAWFULLY LOCKED STOLLER UP ON JUNE 6-8, 2005. These same parties, who Stoller is barred by a divorce court order from mentioning on this blog, for which Stoller spent 37 days in the Cook County Jail from June 8, 2009 until July 15, 2009 for placing their names on Stoller's blog, used undue influence to get Stoller to agree to drop the 2007 lawsuit. 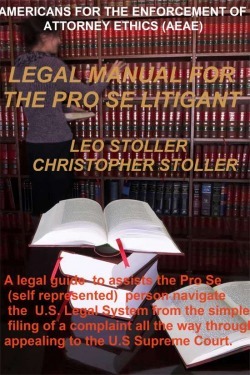 As soon as Stoller was released from custody, he filed an emergency motion before Judge Chargles Wrinkler requesting that the alleged agreement to dismiss his Malicious prosection suit was void ab initio because it was the product of undue influence. Stoller set a hearing for August 6, 2009 before Judge Wrinkler for a full hearing on this matter. Stoller also has a Appeal pending with the Illinois Supreme Court Case No. 108915. 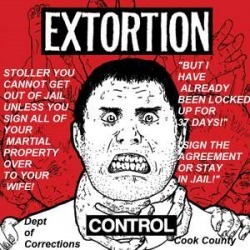 Stoller intends to sue all of the responsible parties for 37 million dollars, a million dollars for each day that Stoller was unlawfully locked up in the Cook County Jail form June 8 until July 15, 2009 37 days. Look forward to seeing you in Court on aUGUST 6, 2009. CHICICAG-(AEAE) JULY 31, 2009--COMMENTARY--NORMALLY IT HAS BEEN THE POLICY OF THE FORMER BLOG OF LEO STOLLER rentamark.blog.com never to talk directly to it's readers. Over the years my blog became very popular. It developed its own audience. But I never wanted to address you personally. However, that blog rentamark.blog.com was unlawfully "ordered" to be removed from the net by a Chicago Judge. That case is on appeal. I believe that I will "reverse" that judge. 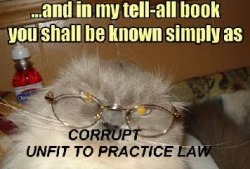 Then that judge will be subjected to all of the "laws" that protect us from unlawful "acts". However, we must wait for the Appellate Court or the Supreme Court to Rule on the violations of my First Amendment Rights. For all you other wonderful, thoughful friends who helped put me unlawfully in the Cook County Jail for 37 days, you will also feel the rath of the law. Because the law cuts both ways. I was suprised to see just how fast all of my readers fround my "new" blog. Some of you will remember a couple of years ago I had the blog rentamark.blogspot.com from Google. However after I sued Google they pulled the plug on that blog. It took me over one year to get my blog traffic counts back to were with my new blog rentamark.blog.com. However this time I lost my blog it only took about "one" week after I got out of jail, for all of you faithful readers to come back. I do have to say that until I can reverse that Illinouis Cook County Judge for unlawfully infringing my First Amendment rights, I am encumbered from mentioning certain "names" on this "new" blog which pains me no end. But being in jail pained me more, even if my incarceration was unjust, unlawful and criminal, until an Appellate Court affirms my appeals I have to abide by all of the current court orders. However, I believe that I wrote the best brief I have ever written and I am confident that the Illinois Supreme Court will take my case in order to give guidance to the Illinois Judges on how to handle bloggers rights to place speech on the Internet. This is Friday, I was so busy drafting my Illinois Supreme Court Briefs that I missed a court date on Tuesday. I filed a motion for reconsideration in that case. Yesterday I filed "two" new Appeals in the Second Illinois Appellate Court. I like the Appeals Courts. I feel most confortable in the Appeals Courts. That is were all my cases are decided. I was not able to blog yesterday. There are few activities as intense as writing an appeal brief to the State Supreme Court. Each word has to "cut" glass in order for the Illinois Supreme Court to want to hear you case. After all they get over 6000 appeals and take only about 1%. I know some Illinos Appellate Court Judges who have gone into the private practice of law doing appeals work and have "never" had the Illinois Supreme Court take one of their cases. Over the years the Illinois Supreme Court has been kind enough to assign one of their Clerks to handle all "Stoller" matters. I don't know of any Appellate Lawyer in the State of Illinois who the Illinois Supreme Court has assigned a special "clerk" to handle all of their appeals. Once last year the Illinois Supreme Court had hearings one day with four appeals on their calander. Three of them were "Stoller" matters. I hold the Illinois Supreme Court in very high esteem. Untill I have my Frist Amendment rights sustained, you can expect this blog to be a little "less" formal. I just want you, my friend to know, that I understand that you were successful in having me locked up in jail for 37 days for the "lawful" activity of publishing speech on my blog. I just want you not to forget that you have made an enemy for life. If I can do the same to you, I will. 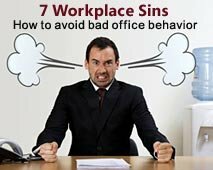 I will also try to get you disbarred from the practice of law for violating the Illinois Rules of Professional Conduct. CHICAGO--(AEAE) JULY 9, 2009 STOLLER WELCOMES BACK ALL OF HIS FAITHFUL READERS BACK AFTER BEING OFF THE NET FOR OVER 37 days. Stoller was forced to remove his blog rentamark.blog.com by an Illinois court Order. As a result of his previous blogging Stoller was incarcerated in the Cook County Jail for 37 days from June 8 until July 15, 2009. Stoller under protest removed all of the alleged "speech" that was required by him under the court order, but the divorce court judge still locked Stoller up in a maxium security jail for blogging, the Cook County Jail. On July 15, 2009 after Stoller agreed under undue influence to relaease all claims in his marital property the judge allowed Stoller to be released from jail. Stoller is confident that this judges "order of commitment" and other orders will be reversed by the Illinois Appeals Court and/or the Illinois Supreme Court. Stoller is also working hard on his Section 1983 Civil Rights Action against all of the parties that Stoller feels is responsible for his "unlawful" incarceration. There will be a lot of extra counts in his multi-party lawsuit which make no mistake is coming sooner than one might expect. 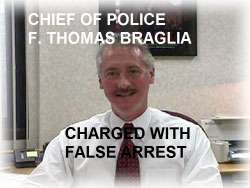 The parties responsible for Stoller's false arrest, false imprisionment (you know who you are) can expect to spend the next decade defending themselves in State and Federal Courts and before every disciplinary commission that has any authority to discipline, dispar or imprison them. Stoller notices that many them and his other faithful readers are already back reading this blog and that should fulfill both of our addictions, Stoller's to write, prosecute, sue and the readers, defendants to have an idea just when the other shoe is going to drop. One national authority said recently, "If you want to know what someone is thinking or is going to do just read his blog." Readers if you want to know what Stoller is going to do next, "just read this blog, and you will find out before the process servers do!" LEO STOLLER NEW BLOG IS WWW.RENTAMARK.NET. CHICAGO--JULY 28,2009 LEO STOLLER WAS ORDERED TO REMOVE HIS BLOG RENTAMARK.BOG.COM STOLLER HAS STARTED A NEW BLOG CALLED WWW.RENTAMARK.NET STOLLER HAS APPEALED THE ORDER REMOVING HIS OLD BLOG AS A VIOLATION OF HIS FIRST AMENDMENT RIGHTS FOR WHICH STOLLER WAS INCARCERATED IN THE COOK COUNTY JAIL FOR FROM JUNE 8, 2009 UNTIL July 15, 2009 for blogging! STOLLER SUE ANOTHER ATTORNEY TODAY. CHICAGO-(AEAE)-STOLLER HAS SERVED HIS NOTICES OF APPEAL ON ALL PARTIES REGARDING THE JUDGMENT THAT A DIVORCE JUDGE ENTERED AGAINST STOLLER ON JULY 15, 2009. 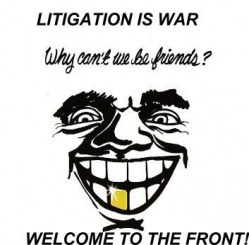 Litigation is war welcome to the front. Stoller is preparing his 9 appeals currently. Stoller is still recovering from his 37 days of unlawfull incareration in the Illinois Cook County Department of Corrections. As damages Stoller is asking for $1,000,000.00 for each day of his unlawful incarceration or $37 million dollars. All of the defendants know who they are. It is not helpfuly to post there names here on this blog. Stoller is looking forward to a Appellate Court victory on his first amendment rights so that he will be able to re-post all of the "speech" that he and/or his attorney were forced to be removed from the Internet. However until the Appellate Court speaks Stoller will abide by all court orders that have not been set aside. WHAT HAPPENED TO STOLLER'S BLOG RENTAMARK.BLOG.COM? 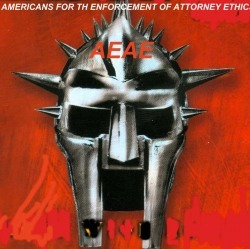 AEAE is an attorney watch dog group that advocates the strict enforcement of attorney ethics and judicial ethics since 1974. AEAE is located in Chicago, Illinois 7115 W. North Ave #272 Oak Park, Illinois 60302. 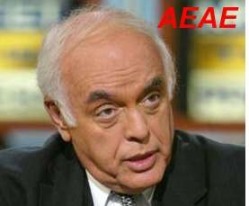 CHICAGO--(AEAE)--LEO STOLLER'S BLOG IS BACK. HOWEVER UNTIL ALL APPEALS ARE HEARD STOLLER'S BLOG WILL NOT MENTIONED ANY NAMES CONTAINED IN A COURT ORDER BANNING STOLLER FROM PUBLISHING VAVARIOUS NAME ON HIS INTERNET BLOG. STOLLER JUST SPENT 37 DAYS IN THE ILLINOIS COOK COUNTY JAIL FOR PUBLISHING "SPEECH" ON THE INTERNET. STOLLER VOWS TO ABIDE FOR BY THE EXISTING COURT ORDER AND WILL COOPERATE WITH THE PARTIES TO MAKE SURE THAT THE COURT ORDER IS NOT VIOLATED. THE COURT ORDER IS ALSO THE SUBJECT OF AN APPEAL WITH THE ILLINOIS APPELLATE COURT FIRST DISTRICT. THAT DECISION WILL BE POSTED HERE.